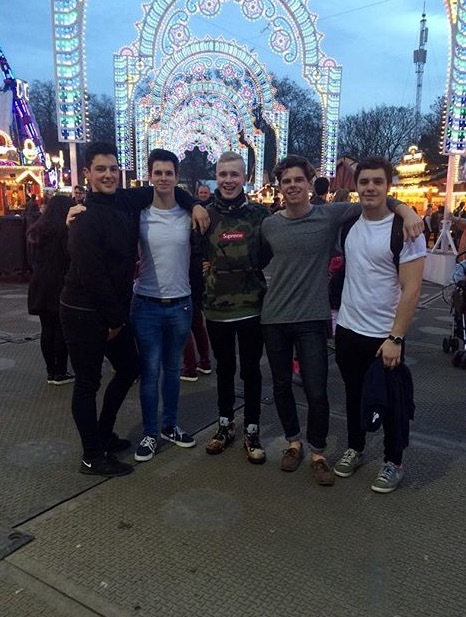 To get into the festive spirit, earlier on this week my friends and I headed up to the most festive place in London; Winter Wonderland in Hyde Park. 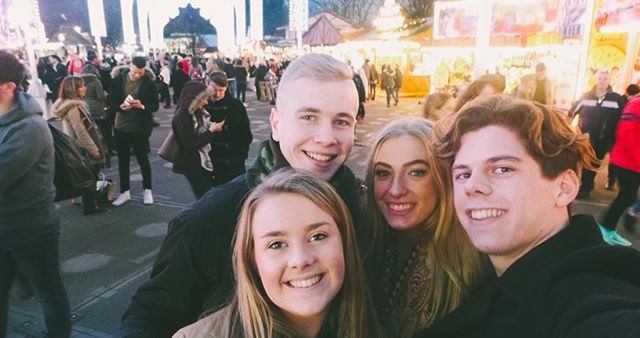 After having our last day at Sixth Form, before Christmas, we headed straight up to central London to experience Winter Wonderland and to also celebrate my friend's birthday! 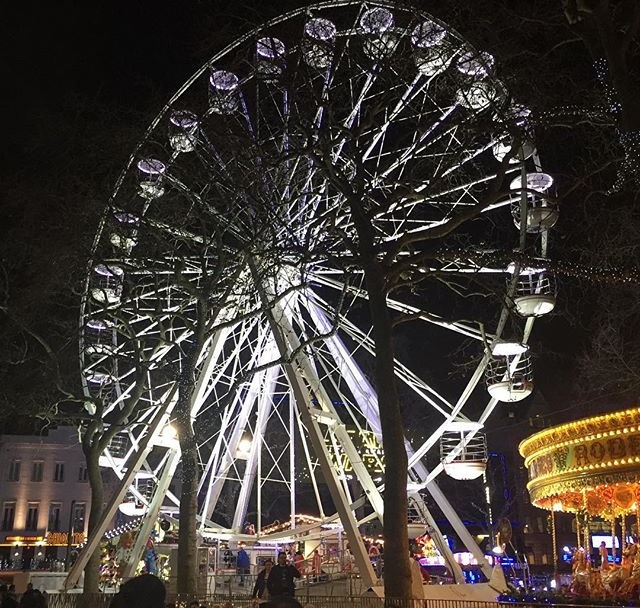 I had been to Winter Wonderland several times before so I knew what to expect, although this year it was meant to be bigger and better. We arrived at around 4 o clock and it wasn't too busy, we took a stroll, taking in the surroundings, and took loads of pictures. It wasn't long until we noticed that all the rides were very expensive [£7-£9 a ride] so the stingy students we are, we decided to choose one ride that we would all go on. The decided vote chose the swinging chairs that we sky high, as the ride seemed fun and the view would be amazing! The ride was brilliant and the view was breath-taking, but I was also nearly taken away by the wind as it kept rocking my chair in all types of directions; I laughed the whole duration of the ride. Originally, I thought that the food at Winter Wonderland would be too expensive and therefore I wouldn't eat it and wait until I got out of the park, but I was pleasantly surprised to see the food on offer. I had some chicken goujons and fries from the food market area, the food tasted lovely and had only a cost price of £7. Not too bad! It was also great to sit down and listen to live music too. We continued to wander around the park, through the markets and past rides and attractions. Wearily, we decided to stop at the carousel bar - a bar actually upon a moving carousel! - and had a sit down and a hot chocolate. It was as soon as we sat down that we realised there wasn't much left to do as everything at Winter Wonderland costs money [and quite a bit], so after taking some final photos we headed home. I would say my experience at Winter Wonderland was very festive and fun, but not as good as I had expected. 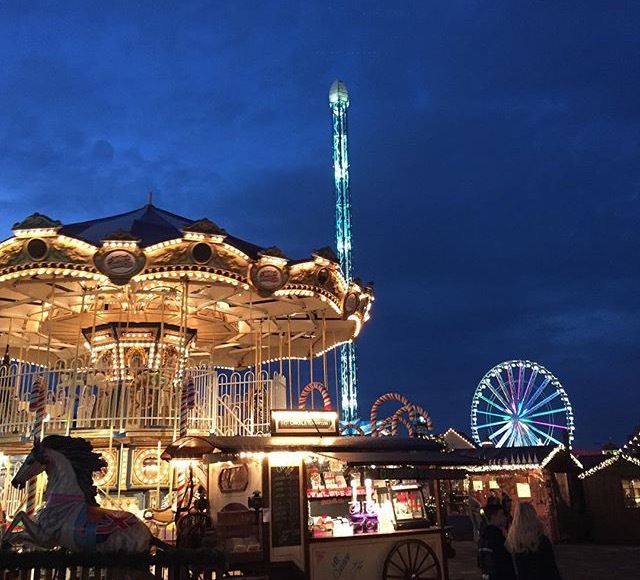 I would say in order to make the most or have the most fun at Winter Wonderland, you should be willing to pay out the money for things such as rides, attractions and ice skating. I will probably return again next year, but just to soak up the atmosphere. I hope you are having a lovely Christmas Eve!